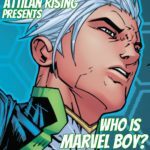 With he first issue of Al Ewing and Jonboy Meters’, The Royals, the Inhumans are joined by a new and mysterious ally: Marvel Boy. Also known as Noh-Varr, Marvel Boy has a long and complicated backstory. 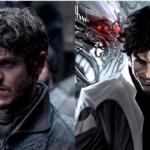 He is additionally an exceptionally cool character and if there is to be a non-Inhuman member of the Royals squad then I can think of few better candidates. So whats the back story on this guy? 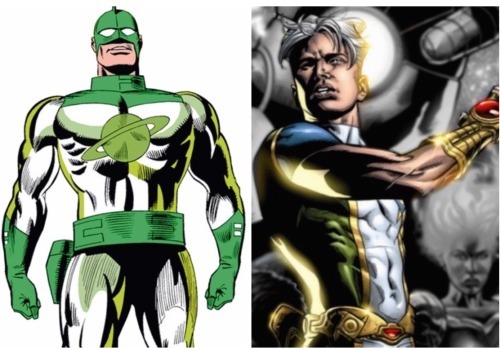 Noh-Varr was a member of the 18th Kree Diplomatic Gestalt originating from an alternate reality (Earth 200080 to be exact). 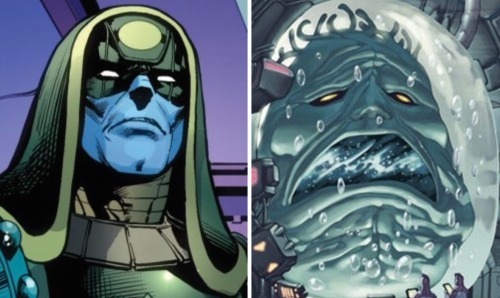 He and the crew of their dimension-hopping spacecraft, The Marvel, were investigating a clash between Astro Gods that threatened the longstanding peace between The Kree and Skrull Empires of their dimension. Caught in the crossfire between these waring Astro-Gods, the Marvel was thrown into a tear in the multiverse and the crew worked desperately to navigate their craft back to their home dimension. 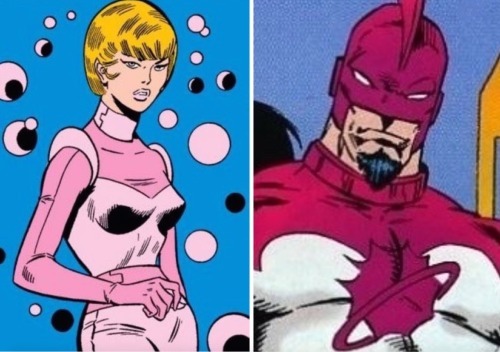 Unfortunately, they overshot and ended up emerging from the multiverse into the 616 reality of the standard Marvel Universe. The Marvel emerged near Earth and they attempted to land there so to make repairs and adjustments for another effort to reach their home dimension. Upon entry into earth’s atmosphere, however, the ship was struck by a series of rockets launched by the forces of the eccentric billionaire known as Dr. Midas. Midas was obsessed with the collection of alien and extra dimensional artifacts which he hoped would imbue him with superpowers. He had monitored the Marvel’s entry into the atmosphere and ordered it shot down so that the wreckage could be salvaged and reverse-engineered to serve his purposes. 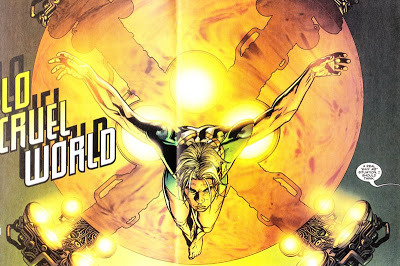 Noh-Varr had been the chief engineer aboard The Marvel. His mother and father were the captain and first officer and his girlfriend, Meree, was the navigator. Noh was the sole survivor of the crash and he was taken prisoner by Midas’ forces. Midas had planned to dissect Noh so to see what aspects of his biological might be replicated and weaponized. Most Kree differ from Humans in subtle ways. 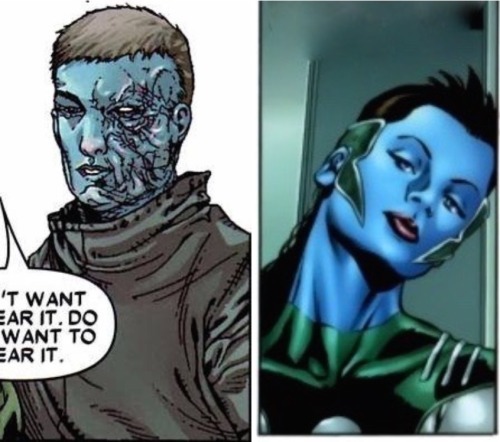 On average, the Kree are stronger and more durable compared to humans, with an elongated lifespan. 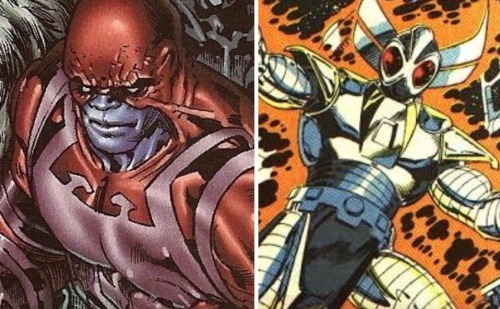 Noh possesses these augmented qualities along with additional abilities unique to the Kree of his dimension. 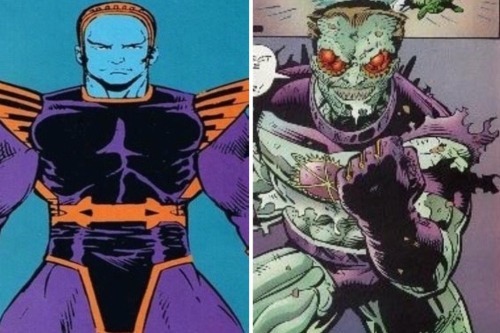 In Noh’s home dimension, Kree science had managed to navigate around the evolutionary ceiling of their race by way of adding genetic material to their DNA borrowed from an insect-like species. This addition imbues Noh was greatly enhanced speed and reflexes, heightened strength and the power to adhere to surfaces with his hands and feet. Noh’s saliva also contains nanobots that has the effect of making those who come into contact with it highly susceptible to the power of suggestion. Noh was able to utilize these abilities to facilitate his escape from Midas’ compound. 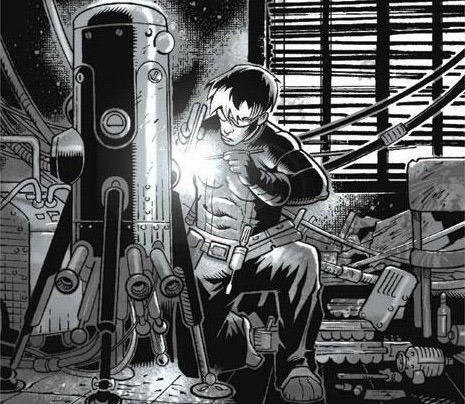 Among the wreckage of The Marvel, Noh managed to salvage Plex, an sentient, organic computer that retained a massive amount of data specifically oriented to combat situations and martial strategies. Noh also salvaged several weapons, including a pair of wristbands that could reshape themselves into several highly powerful weapons. 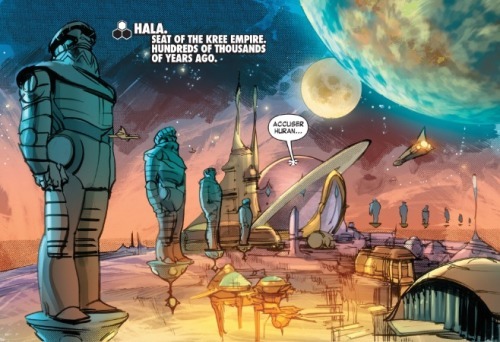 Concluding that all of Earth was as evil and murderous as Midas, Noh decided to wage war on the earth and make it the capital of the New Kree Empire of this dimension. 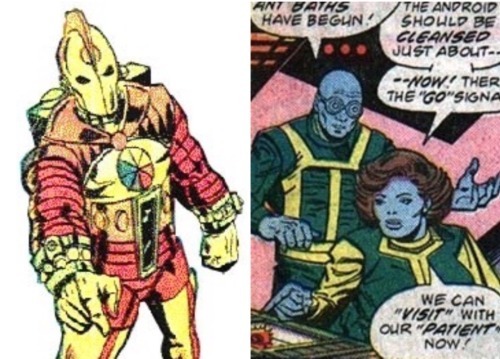 Following a number of adventures and a great deal of property destruction, Dr. Midas was seemingly killed and Noh was ultimately apprehended by Shield. Following his capture, Noh was incarcerated in the supermax penitentiary known as The Cube. an unspecified technology to exert control over Noh’s will, making him into an enforcer to do his bidding. 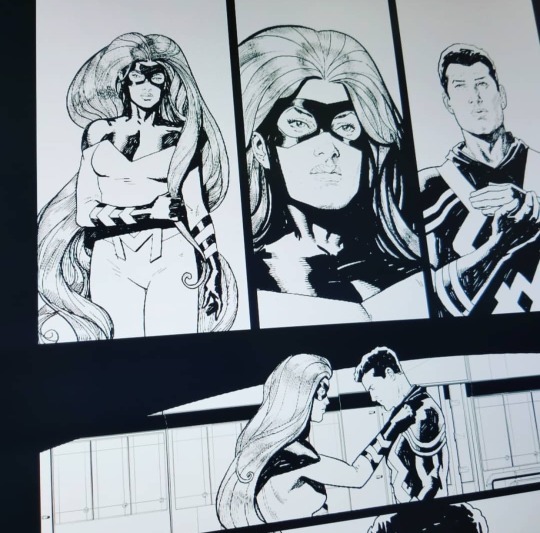 During the first Superhero Civil War, The Warden was tasked with capture the young reengaged superheroes known as The Runaways and The Young Avengers. The Warden dispatched Noh to take out these heroes. Noh made short work of these heroes, capturing several of them and leaving the rest battered. During the battle, Noh was gravely injured when The Visions’ arm became stuck in Noh’s chest mid-intangible. Once revived, The Vision was able to hone in on his detached arm to locate the whereabouts of their captured teammates. 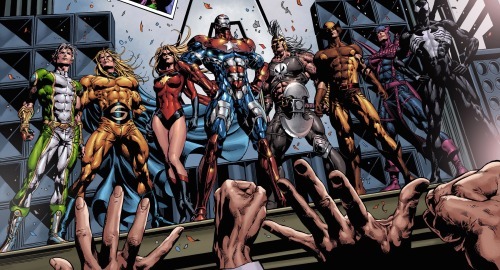 Attacking The Cube, the Runaways and Young Avengers once again took on Noh. 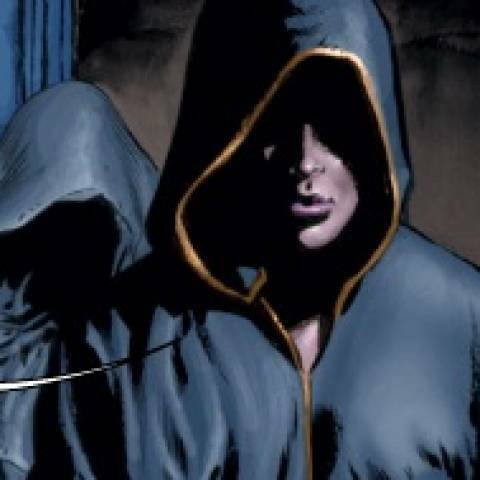 This time, however, The Vision was abel to scramble the mind control circuits that kept Noh under the Warden’s power. The heroes all escaped and Noh extracted his vengeance over the Warden, using that same mind control technology to effectively lobotomize him. Orphaned and marooned in a foreign dimension, Noh was left unsure what to do. He ultimately decided to remain at the Cube, keeping his freedom a secret, and acting as the prison’s de facto jailer. Shortly thereafter, Noh was visited by the first incarnation of The Illuminati. These luminaries of the hero community saw great potential in Noh-Varr and attempted to guide him toward taking a heroic path. Noh was initially reluctant to accept the advice offered to him by the Illuminati, yet the wisdom imparted on him would eventually take hold. 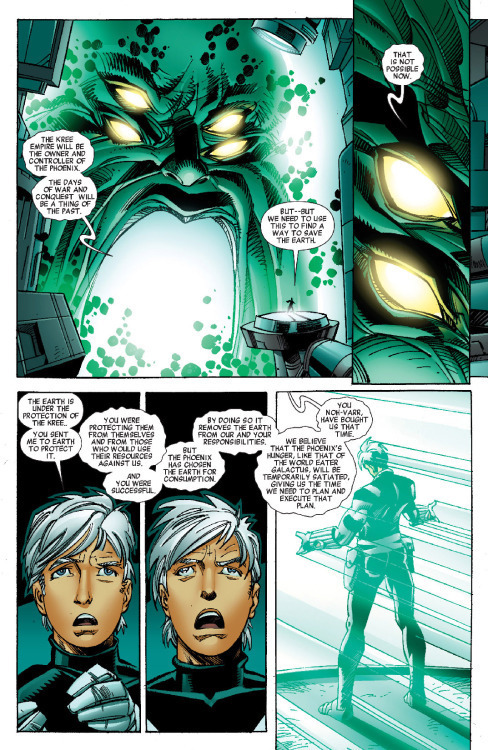 Noh-Varr was still maintaining the Cube at the time of the Skrull Secret Invasion event. 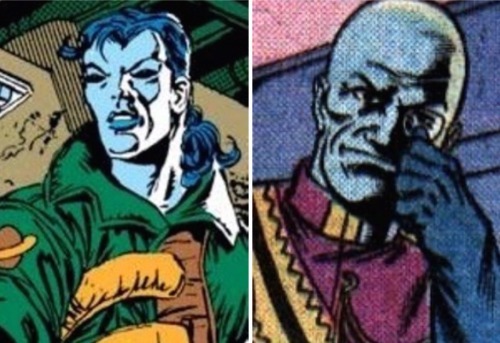 Numerous Skrull agents had infiltrated the Cube and Noh rallied the rest of the prisoners in a successful effort to repel the invaders. 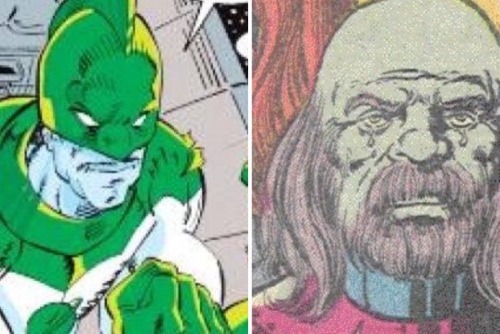 During this time, Noh encountered a Super Skrull by the name of Kkn’nr, who had taken the guise of the Original Captain Marvel (Mar-Vell). 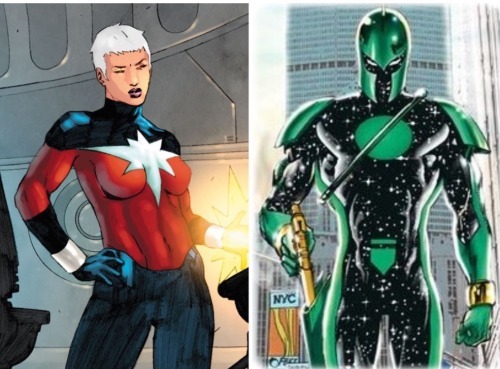 Kkn’nr had come to believe that he actually was the real Mar-Vell and he died valiantly fighting for Earth. Noh was very much moved by the heroism and self sacrifice demonstrated; so much so that it inspired him to also take on the responsibility of protecting the people of Earth. 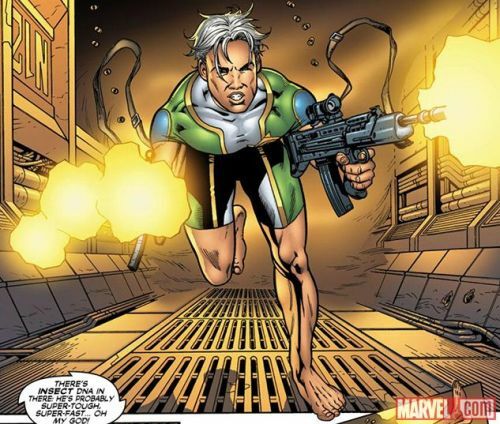 Noh-Varr’s decision to become a hero, coupled with his relative naiveté made him an ideal candidate to be recruited by Norman Osborn when he was forming his Dark Avengers during the Dark Reign era. 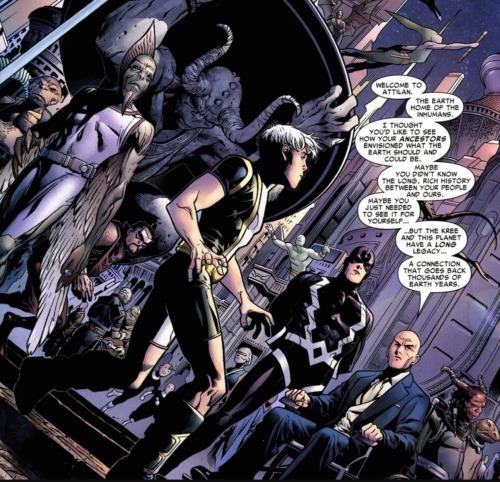 Osborn had slithered his way into the directorship of Shield following the Secret Invasion and formed his own group of Avengers to act as the steel fist of his new agenda. 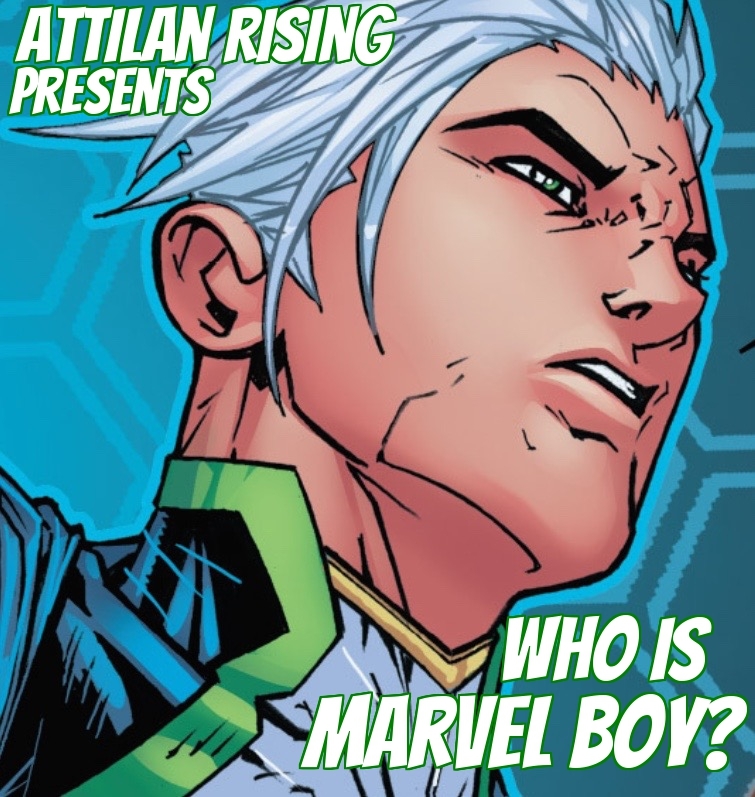 Assuming the name of ‘Marvel Boy,’ Noh agreed to participate in Osborn’s Avengers team and he served with distinction in their earlier adventures. Noah’s teammate, Moonstone (Karla Sofen) took a fancy in Noh and seduced him following a successful mission. Afterward, Soften divulged to Noh that Osborn was a villain, that his ultra-vigilant stance on earthly defense was just a ruse to consolidate authoritarian power (sound familiar?). 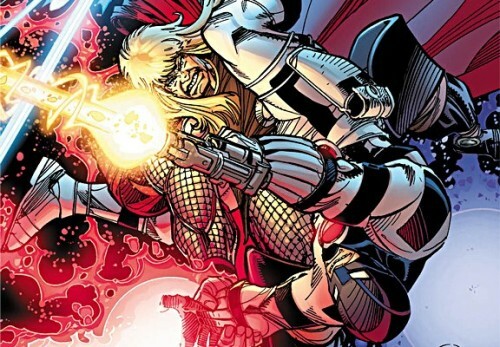 Labeled an enemy agent, Osborn sent The Sentry to neutralize Noh. 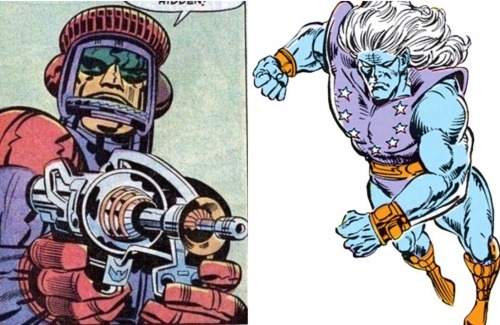 Noh was able to evade The Sentry and he built a communications relay platform to contact The Kree Empire of this Dimension (hoping he could gain amnesty on the Kree world pf Hala). Noh’s transmission was received by the Supreme intelligence of The Empire. 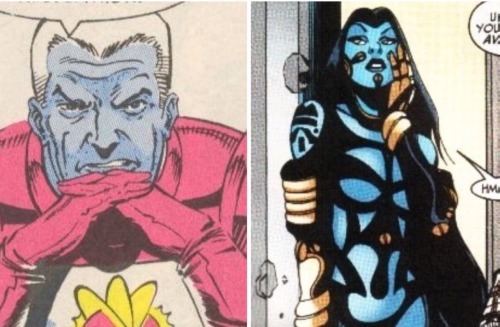 Rather than offering Noh a means of reaching Hala, however, The Supreme Intelligence decided that Noh was a suitable candidate to assume the role once held by Captain Mar-Vell as the Kree protector of Earth. A pair of advanced Nega-Bands were teleported to Noh that imbued him with vast new powers. Re-dubbing himself ‘The Protector’ Noh was ultimately able to fend off The Sentry and escape Osborn’s pursuit. 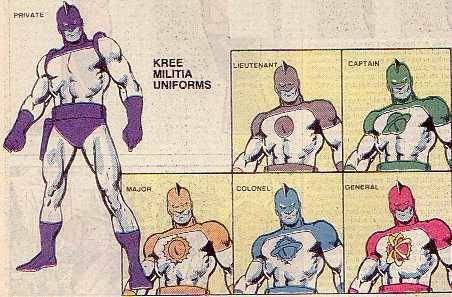 Later, following Osborn’s defeat and the Siege of Asgard, The Protector was recruited by The Avengers to assist in a mission to take on Kang The Conquerer. 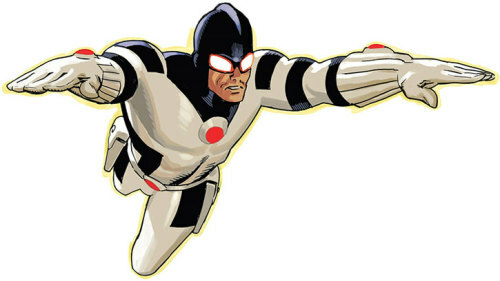 Noh was granted full membership to The Avengers and aided them in battles against The Hood, Hydra and The Serpent. During this time, Noh began a romantic relationship with a young art school student named Annie. 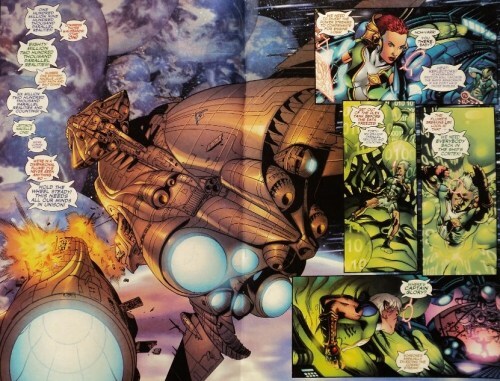 During the Avengers versus X-Men event, Noh took part in a mission to head out into space and intercept the Phoenix Force before it could reach earth. This mission ultimately failed, but the team did manage to exert a sample of the Phoenix Force energy that could be used as part of a weapon to defeat it. 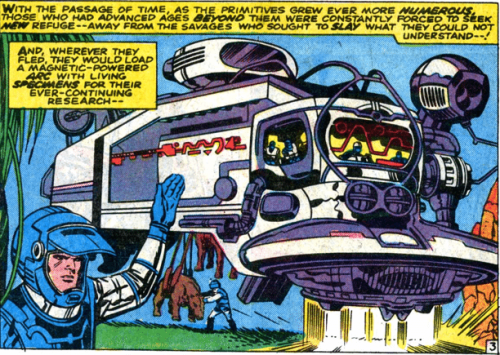 Unfortunately, their spaceship was damaged, forcing the team to make a crash landing on the Kree planet of Hala. While making repairs on Hala, Noh was summoned to an audience with the Supreme Intelligence. 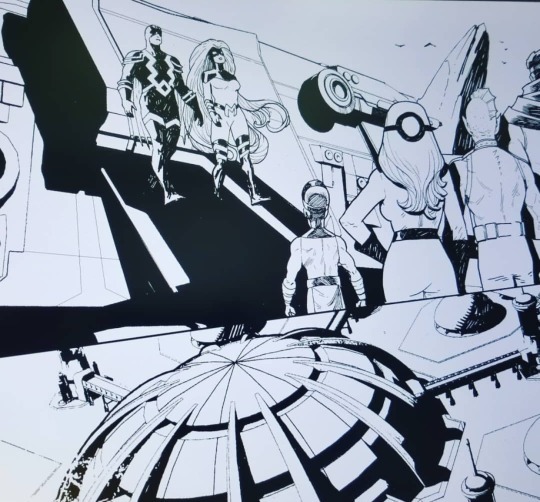 The Intelligence commanded Noh to steal the energy sampling of The Phoenix Force so that Kree science might devise a proper means of destroy the cosmic entity and ending the threat it posed. 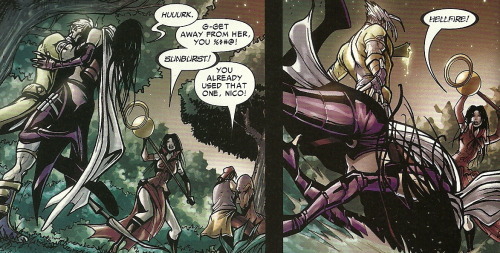 Noh obeyed this order, engaging a sneak attack on his fellow Avengers so to thieve the sample. When he presented the sample to the Supreme Intelligence it was revealed to him that The Kree had no intentions of protecting the earth. They would allow The Phoenix Force to destroy earth, temporarily sating its hunger for destruction and giving the empire the time needed to develop the means to defend itself. Dismayed, Noh once again stole the sample so to return it to the Avengers. Yet he had lost their trust. The Avengers took back the sample, but left Noh behind declaring that he was forever banned from Earth. 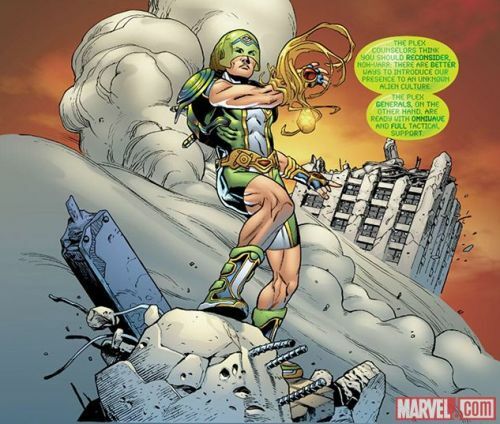 To make matters worse, The Supreme Intelligence caused Noh Nega-Bands to disengage, dissolving his Protector battle suit and leaving him initially defenseless against the legion of Kree soldiers seeking his demise. The Phoenix Force was ultimately contained by Hope Summers and the threat abated; and Noh was not heard from for some time. Somehow, Noh was able to escape Hala. 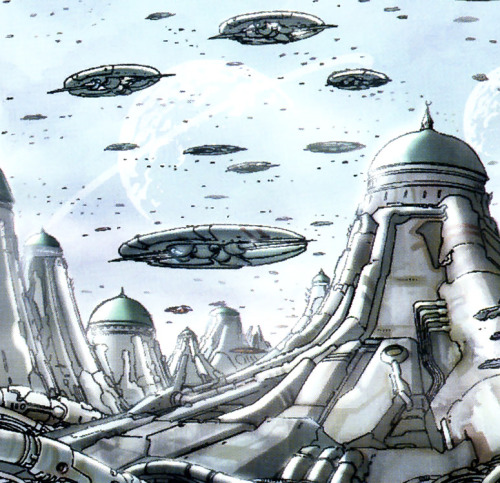 Not knowing where else to go, Noh returned to Earth and used pilfered Kree material to create a home for himself in a satellite station orbiting the planet. Despite all that he had been through, Noh had developed a great fondness for earth, its culture and art and especially its music. He would frequently descend to the planet to buy records, attend concerts and dance clubs. 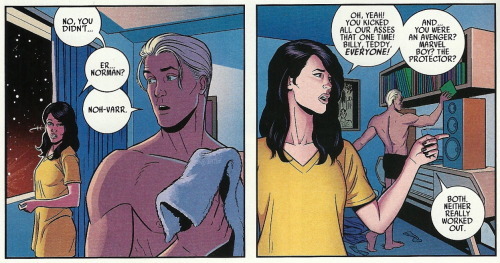 During one of these excursions, Noh encountered Kate Bishop, the young Avenger known as Hawkeye. The two hit it off quite well and Kate ended up returning with Noh to his starlight home to spend the night. What began as a one night fling ultimately blossomed into a romance. 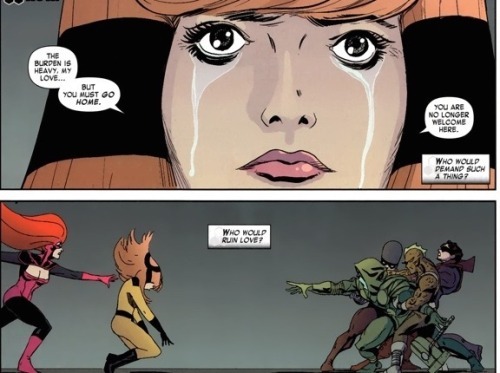 The Mother entity was finally defeated and destroyed and The Young Avengers drifted apart. Noh and Kate also broke off their relationship though committed to remaining friends. 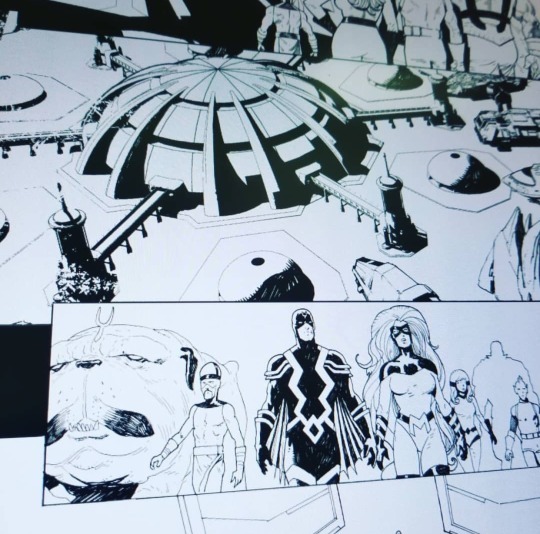 In the upcoming Inhumans Prime, it appears as though Noh has witnessed the aftermath of the Inhuman/Mutant War. 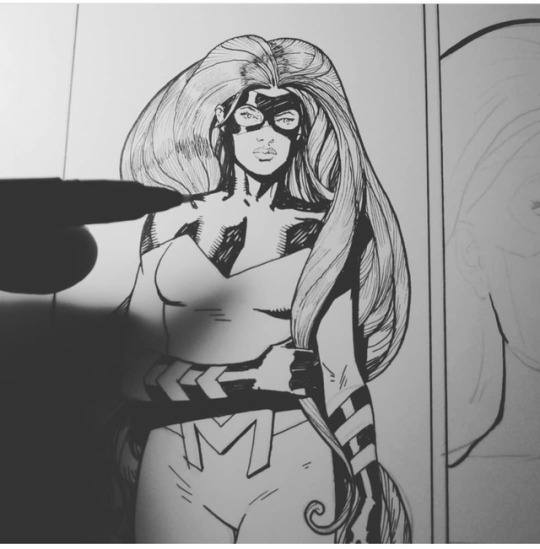 Being a Kree from an alternate timeline, Noh seems to be quite knowledgeable about the Inhumans as well as, possibly, the secrets of Terrigen. It looks as though Noh will offer his services as a guide to the Royals in their quest into the cosmos to learn the mysteries of Terrigen. Noh’s further adventures will be entailed in continuing installments of The Royals. 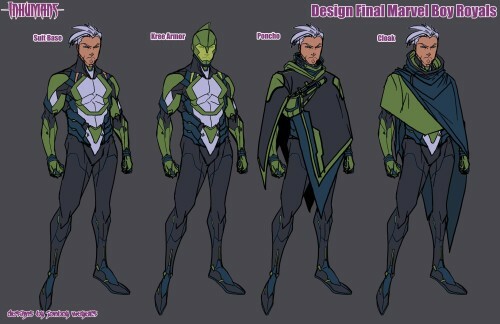 Marvel Boy/Noh-Varr was created by Grant Morrison and JG Jones. 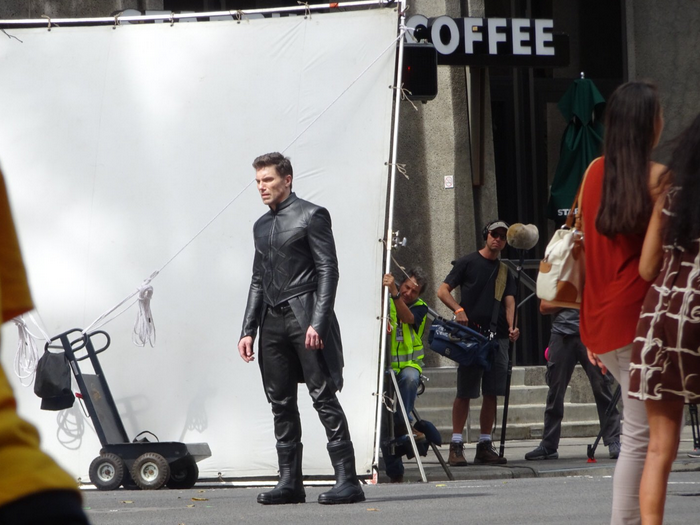 Marvel’s “The Inhumans” has finally starting filming and today set photos showing Lockjaw and Anson Mount as Black Bolt have surfaced thanks to @ReelNewsHawaii on Twitter. 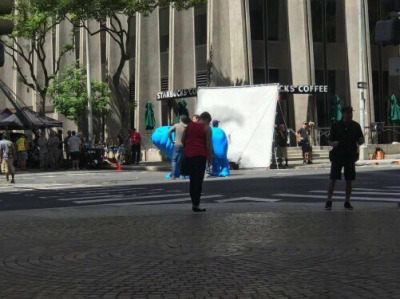 According to Reel News Hawaii the filming took place in downtown Honolulu. More pictures posted below. 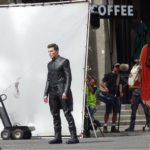 The first two episodes of Marvel’s the Inhumans is set to release in Theatres on September 1st with the rest of the series set to premiere on ABC later in the month. 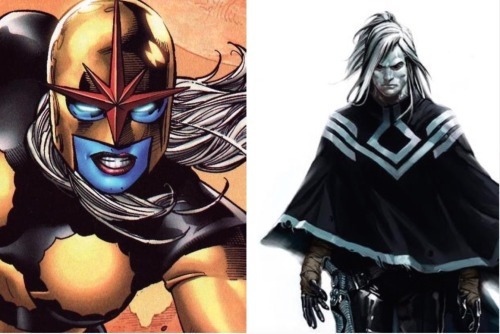 The show stars Anson Mount as Black Bolt, Iwan Rheon as Maximus, Serinda Swan as Medusa, Ken Leung as Karnak, Eme Ikwuakor as Gorgon, Isabelle Cornish as Crystal, Mike Moh as Triton, Sonya Balmores as Auran, and Ellen Woglom as an undisclosed character. 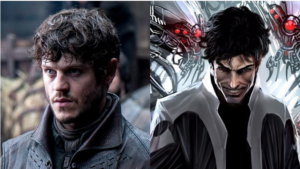 Today Marvel Entertainment announced actor Iwan Rheon (Ramsey Bolton in “Game of Thrones”) is set to play the “key role” of Maximus the Mad in “Marvel’s Inhumans”. 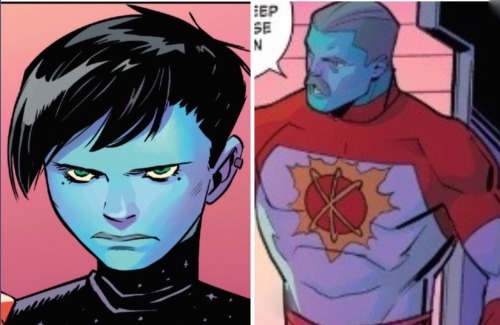 For those not familiar with the Inhuman Royal Family (though I am pretty sure most of you are at this point), Maximus is Black Bolt’s brother. Black Bolt’s rather unbalanced (to put it nicely) brother. 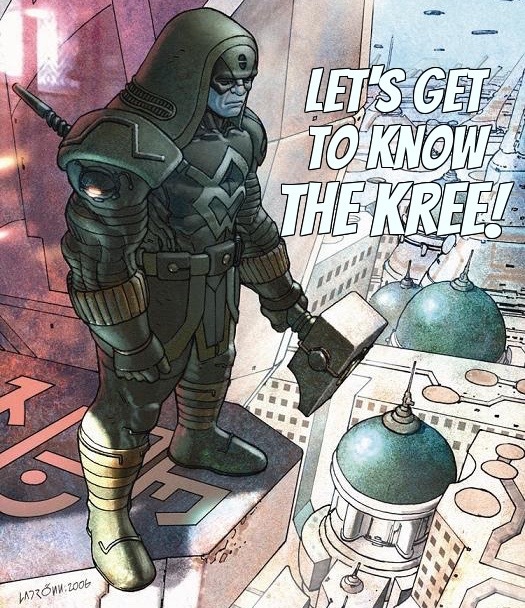 His greatest hits include stealing the throne from Black Bolt on several occasions, sewing chaos throughout Inhuman society and being absolutely delightful while doing it. Marvel couldn’t have cast a better actor for the role. 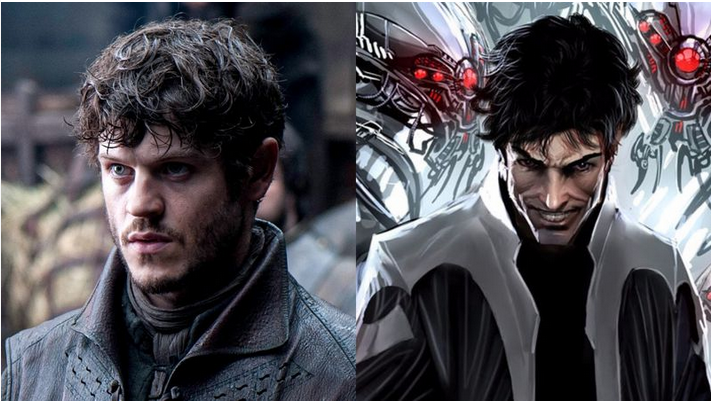 We’re pretty sure that Iwan Rheon is going to turn Maximus into one of Marvel’s most beloved villains. 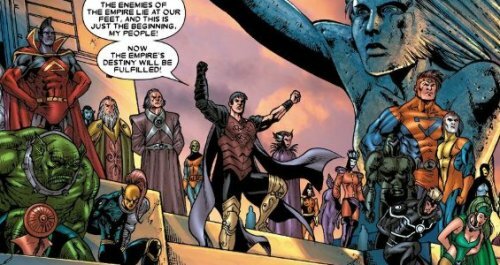 For those wanting to become more familiar with Maximus read Charles Soule’s Uncanny Inhumans to see Maximus at his best. You will understand why we are excited for this announcement! In other news (to be taken with a HUGE grain of salt), some tweets from Eliana Jones over on Twitter could possibly confirm her role as Crystal in “Marvel’s Inhumans”. It’s also a bit telling that she is following the Marvel’s Inhumans Twitter account. Hopefully we will get official confirmation of who the remaining cast members will be later this week. 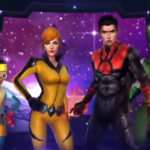 A couple of videos have popped up over on YouTube showing upcoming characters and their game play for Netmarbles Marvel Future Fight. 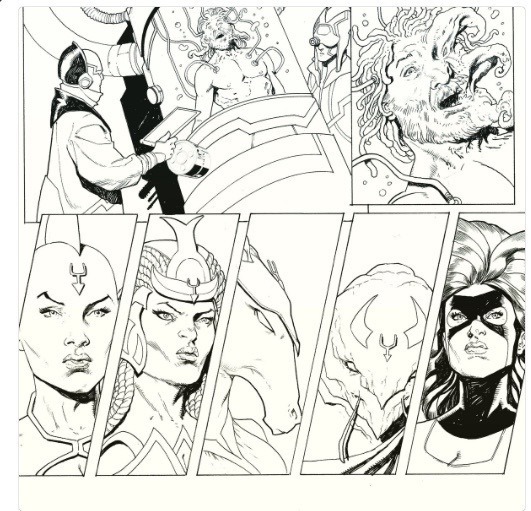 So far it looks as if Maximus, Crystal, Gorgon, Karnak, Inferno, and Moon Girl (& Devil Dinosaur!) are being added to the game. It also looks like there are new costumes for Ms. Marvel, Black Bolt, and Elsa Bloodstone being added as well. No official announcement yet on when it goes live in the US (that I have been able to find), but hopefully we will have more information soon. 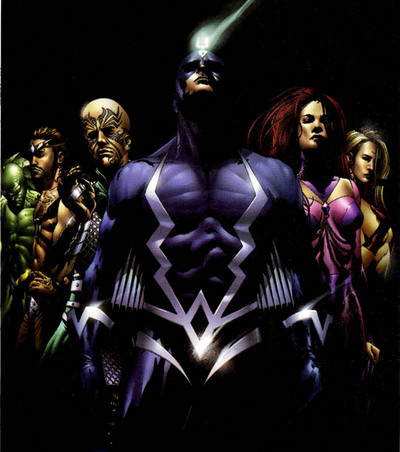 Seeing my favorite Inhumans added to the game has definitely given me incentive to go back. 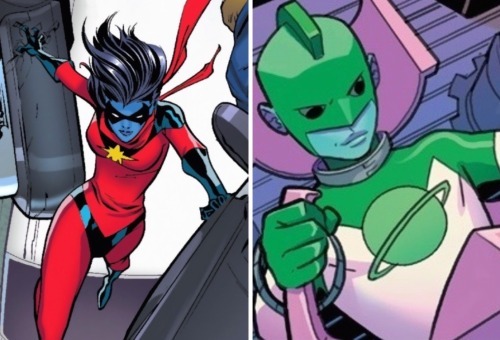 The first video shows primarily Crystal, Moon Girl, and Maximus in action. 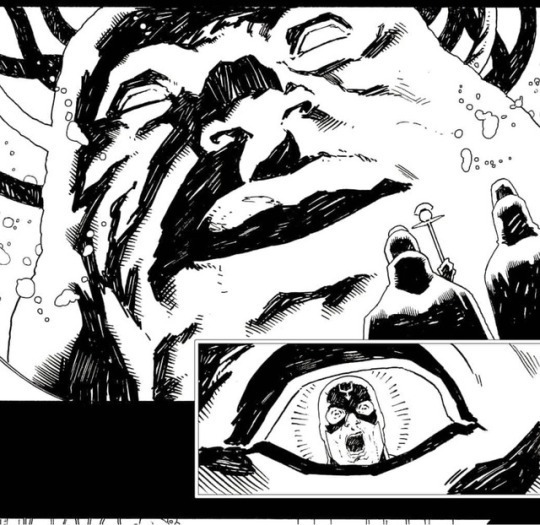 The second adds Inferno, Karnak and Gorgon to the mix. 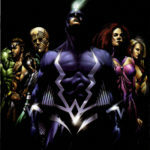 After a dry spell on news about Marvel’s The Inhumans, due to air this September, there has been another flurry of information about the show. Recently, ThatHashTagShow.com received a tip about a casting call for the series. 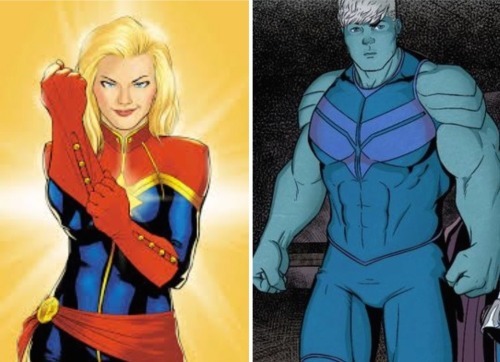 It’s pretty clear that Marvel tried to disguise who each character was supposed to be by giving them names such as “Marty” and “Broderick”, but this list confirms that all our favorite Royals are set to be cast in the main series. 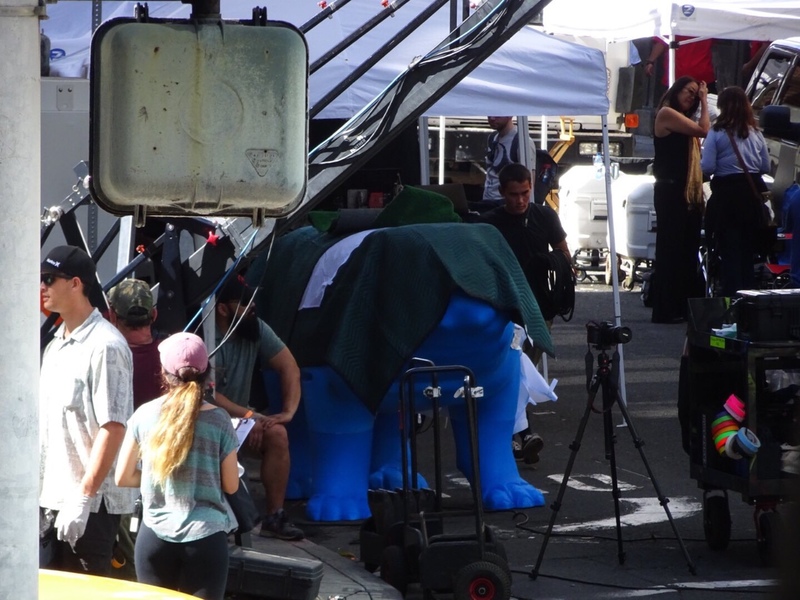 No word yet if Lockjaw, the Royals’ teleporting dog, is set to appear in the series. Something interesting to note: For a majority of the roles, they are looking for actors and actresses between the ages of 30-40, with the exception of Crystal, who they want someone 18-25 for. For anyone who was wondering about the age difference between the two sisters, this pretty much confirms that it’s going to be at least 5-10 years. 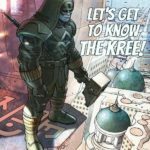 There has been very little information released since ABC announced that The Inhumans will be coming to the network this fall. So far all we know is that the first two episodes are set to be released in IMAX theaters September 4, 2017 with the rest of the episode set to air on ABC on September 26th. 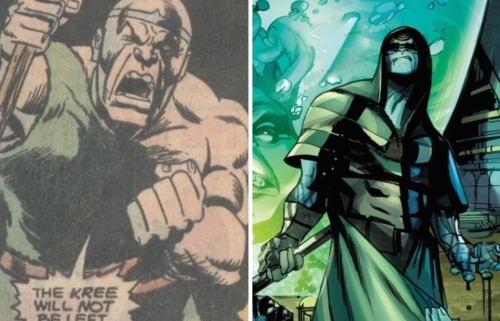 We’ve also learned that Iron Fist show runner Scott Buck will also be the show runner for The Inhumans. 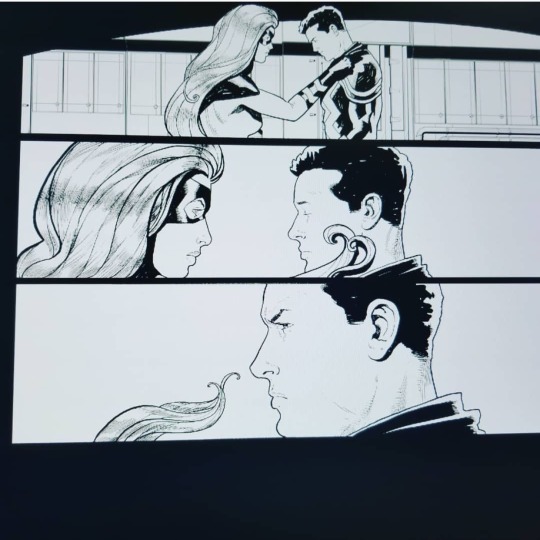 But now it looks as if the possible production date has been revealed! 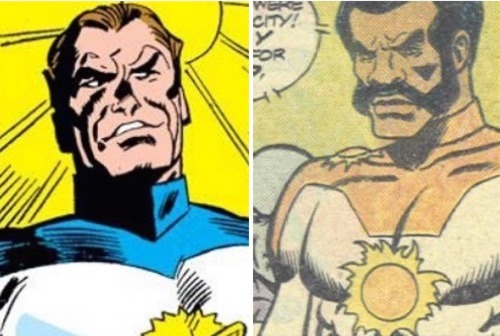 Marvel has yet to confirm if this truly is the case, so please take this information with a grain of salt. It’s interesting to see the filming locations – many seem to be surprised that it’s not taking place in Atlanta, GA where many of the movies are filmed. However, Marvel Television does most of it’s filming in LA or New York, so it’s really not much of a surprise. Now if only we could get some sort of casting announcement.